Fiesta in the mid size category does offer stability, while driving along with high comfort level. It has solid body which can withstand even the severe collisions. The vehicle has cool as well as elegant interiors. Ford Classic features include anti roll bars, cigarette lighter jack and cup holders. The driver seat can be adjusted so that it does provide safe ride even when the conditions are harsh. This particular car has been trying to conquer the segment which demands not only style, but engine ride along with comfort. It does sport nice smooth flowing lines. The populer Ford classic price is Rs 6.84 lakh to 9.65 lakh (Ex showroom, Mumbai). The vehicle is available in numerous color options to choose from. They include Diamond White, Paprika Red, Chill Metallic, Sea Grey and Panther Black. The variant is offered in 1.4 lire Dura Torque engine, which is considered to be the most efficient engines. 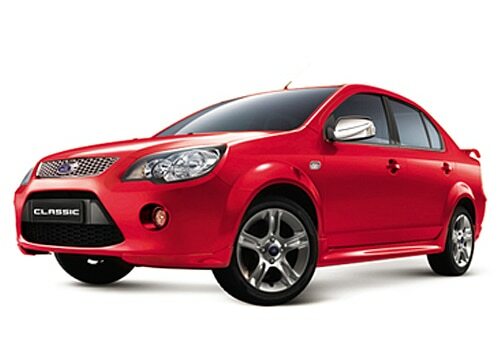 It is also offered in 1.6 litre petrol which is known to be performer rather than fuel efficient. While comparing the power rating of the varied engines they are decent, but in the real world delivery is considered to be phenomenal. It is is available in two powered engine options.